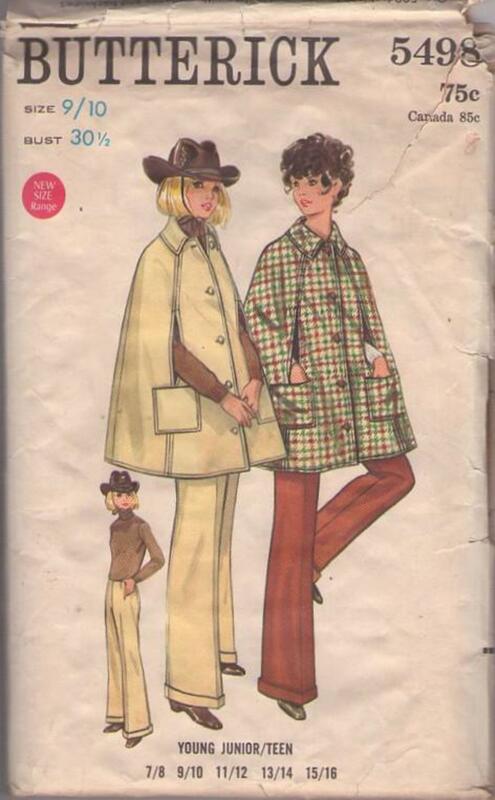 Bust 30.5", Waist 24", Hips 33.5"
60s Mod, Retro Outerwear Clothing Patterns - YOUNG JUNIOR/TEEN CAPE & PANTS. Cape with shaped collar has opening in front seams and patch pockets. Top-stitch trim. Flared darted pants without waistband have wide cuffs.